The Munay-Ki are the nine great rites of initiation of the medicine way. The word munay means ” I love you” or Be as thou art. The Munay-Ki are codes that transform our human energy field into that of homo-luminous. The rites are delivered in the form of energetic transmissions The nine rites are given to attune the body and re-infom our DNA so we can live and age differently. The rites truly assist the shift human consciousness and our being light workers on this earth. The prophecies of the ancient Americas speak about this time as a time of transformation. It is a time when a new human appears on the planet, the one who live without fear and can step out of linear time. . The Munay-Ki will clear the luminous energy field of the psychic sludge left by past traumas and raise your level of vibration. As you experience the transmissions you can feel the presence of the luminous beings. 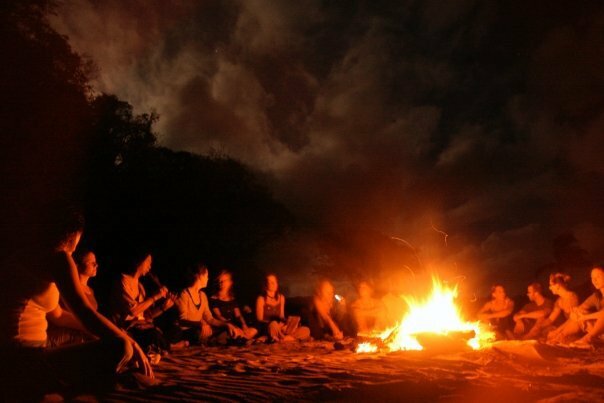 In the year 2006, the Q'ero Wisdom Keepers of the high Andes felt it was time to share the energy of these initiations in a form that was accessible to people around the world. Traditionally one would need to spend years in apprenticeship to receive the initiations. We are in the great transformation known as "Taraypacha"(when we meet our true selves again) so the rites need to transmitted right away. Now is the time to share these rites so we all can awaken. The actual Munay-ki original energy as given by the Q'ero are called Karpays (transmissions). They are transmitted as the Munay-ki so many people can receive them and and eventually learn how transmit them. The Munay-ki are broken down in three categories: The Foundation Rites, The Lineage Rites and the Rites to Come. When you receive them you will receive one to four rites at a time. The Rites are energetic seeds that you grow with your intention and specific practices. Ashera offers these rites in group settings and individually. Once you have received the rites and have worked with them, if you feel called to give them, Ashera offers trainings. Inquire if you are interested. When you are in Peru we work both with the Q'ero and Ashera to give the rites. In ceremonies outside of Peru Ashera channels these transmissions in and offers the rites. Many times they are woven in with sacred sound ceremony with another practitioner. This rite awakens our ability to heal. It connects you with the lineage of luminous beings and shamans that come and assist your healing. These luminous beings work on you to heal the wounds of the past. This healing energy awakens your ability to heal yourself and others. The bands consist of 5 bands in the form of 5 luminous belts installed in the luminous field that act as filters breaking down any heavy energy into one of the elements. The bands represent the 5 elements, Earth- (black), Water (red), Fire-Air (yellow) , Air (silver), Ether Energy, (pure light). This rite transforms any energy to its true power of the elements within us. Once activated these bands are available for protection or our luminous field. The seven archetypes of the Andean Medicine way are planted to each of the chakras as seeds that metabolize trauma and heavy energy and reinform the energy body and chakras to their radiance. These seeds need to be fed or germinated with the fire. In the first chakra you receive the archetype of Serpent. In the second chakra you a receive the archetype of Jaguar. In the seventh chakra you receive the archetype of Pachakuti, the protector of the upper world (super conscious). Filaments of light that are installed between the visual cortex to the third eye and the heart center. This awakens the ability to perceive the invisible with the eyes of the heart. This rite is connects you with the lineage of shamans of the past. The Day Keepers were the masters of the ancient altars in sacred places around the world from Machu Picchu to Stonehenge. The Day Keepers can call on these ancient altars to bring balance into the world. They were the midwives who attended births and deaths, the herbalists and curanderas. They were also know as the ones who called the sun to rise each morning and the ones who made sure that humans were in harmony with Mother Earth, Pachamama and honored the ways of the feminine. This initiation helps to heal your inner feminine and the feminine energy in your life including all relationships with women. It assists in reconnecting with the feminine principles of creation as well as the lineage of feminine healing. This rite connects you with the ancient wisdom which resides in the Apus (mountains). These mountains are revered places of power, from the Himalayas to Mt Fuji, Mt Sinai, Mt Shasta, Asungate and more. The Wisdom Keepers are medicine men and women who defeated death and steeped out of time and taste infinity. The Wisdom Keepers protect the ancient teachings. This rite also allows any healing with the inner masculine and the masculine energy in your life including all relationships with the masculine. It assists in reconnecting with the feminine principles of creation as well as the lineage of masculine healing. This rite connects you to the lineage of archangels and guardians or our galaxy. As Earth Keepers we are the protectors of the world. The Earth Keepers are stewards of all life on earth and come under the direct protection of these archangels and can summon their power for healing and balance. This rite helps you to learn the way of the seer and dream the world into being. This rite anchors you into the time after the great change of 2012. It slows down the aging process and evolves the DNA. Your physical body evolves into homo-luminous and you become resistant to diseases. You will not need to process events primarily on the physical level but on the level of spirit. Once you receive these rites you acquire stewardship of the time to come and for the future generations. This rite connects you with the divine source with in and awakens your god nature. This god nature is you, pure consciousness. In the past it could only be given directly from spirit. It awakens the god nature within, the Buddha or Christ consciousness. In the past it was not possible for it to be transmitted from person to person. This rite has only become recently in the last few years been able to be transferred from human to human. The wisdom keepers have been waiting for it. It was not available before 2006 on this planet. There were ones who attained this level of initiation and awakened their Christ and Buddha consciousness but it was not possible until now to transmit this rite from human to human. A despacho is a traditional ceremony from the high Andes of Peru, to bring usAyni a state of into reciprocity and balance to give back to Mother Earth (Pachamama) and other Spirits (organizing principles of the Universe). This beautiful Andean prayer offering that we assemble with flower petals, sweets, and other symbolic contributions into a beautiful mandala focuses our intentions for right relationship with our lives and the earth . As we make each offering, we blow into our intentions, our gratitude or something we wish to release (depending on the kind of despacho) into flowers and leaves. The mandala grows with each offering, encircling us with the energy of transformation and bringing each who participates into balance with our deepest intentions. The ceremony invites old energy to be cleared and new energy to come in. This beautiful ceremony is a way of praying to ask for and be open to abundance in our lives or other intentions. This is a ceremony in which we all participate, clearing the old and weaving the energetic threads of our prayers and our gifts throughout the circle, filling the mandala with love, beauty, joy, abundance, and the oneness of life. We do this so that we may carry, the sense of balance and harmony out into our community and the world. As we create the mandala, feelings, images, or beliefs that lie in the way of our intentions are released and we allow them to transform into an energetic state that expresses our becoming. We weave our intentions into the love, beauty, joy, abundance. The despacho brings the energies of manifestation into full realization by blending a deeply personal inner experience with the power intention, and weaving gratitude for all that is with a dreaming into what wants to be. Fire ceremony has been used time immemorial to transform energy. Fire a powerful source of transformation and inspiration. In these ceremonies we call in a sacred space and we honor and call the 7 directions and 4 elements to come in and assist in the healing and transformation of all the participants. We make a series of offerings to the spirit of the fire, to cleanse and bring in the highest possible vibration. The ceremony is participatory, so that all can make offerings to the fire to transform. We release into the fire and actively call in what is for the highest and best intention. This is a powerful, joyful and enlivening process. Best done on full or new moons but can be arranged anytime. -Experience the Sacred Valley of Peru in a healing and authentic way. -Visit lesser known sites or powerful mountains to receive and energetic understanding from these places of power. - Learn more about the Andean Mystical ceremonies and teachings. Experience the healing of the 4 directions, the Medicine Wheel and experience how these processes can assist you in your personal healing and transformation. - Learn from the Q'ero Earth Keepers in ceremony and receive transmissions from them at sacred locations. - Create your own retreat for you and your friends. If you want to go deep connecting with who you truly are and you and accelerate your awakening these sacred journeys are rare and incredible experiences you will never forget. They will assist in shedding any illusions and heavy negative patterns that you may be carrying for lifetimes, and reconnect with your true destiny for being here. These ceremonies are an opportunity to deeply connect with the earth and your true nature. We will connect with the earth, the water, the air. These ceremonies allow us to see parts of ourselves that may be normally invisible. You will receive a huge amount of assistance from spirit to move into the most loving and heart opening space of love and remembrance of who you are. Though these ceremonies are done in the presence of others, it is a deeply personal healing journey. These ceremonies are held in the highest integrity and sacred space. Inquire for more details for the next ceremony or to arrange one.